Use the modified WhatsApp Messenger in your Android devices to get various extra privacy and security features along with customization to send tweaks in GB WhatsApp. Everyone loves to have extra features in their daily driver apps. WhatsApp Messenger is the most used social networking messenger around the globe. 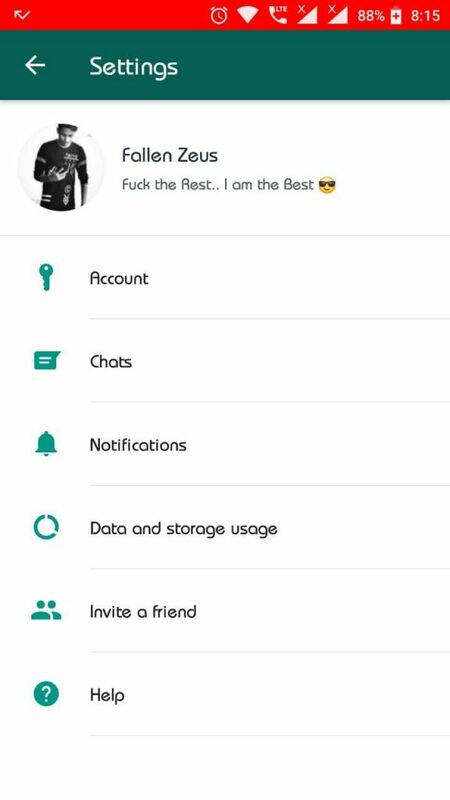 GB WhatsApp is the most ideal modded WhatsApp Messenger App in the world. In this article, we will talk about changing the number of GB WhatsApp from the app itself without uninstalling the GB WhatsApp for Android devices. We were also shared how to change last seen on GBWhatsApp, check it out. Changing number of the GB WhatsApp required when the privacy concern is addressed. Use the following guy provided below to change the number of the GB WhatsApp for Android devices. 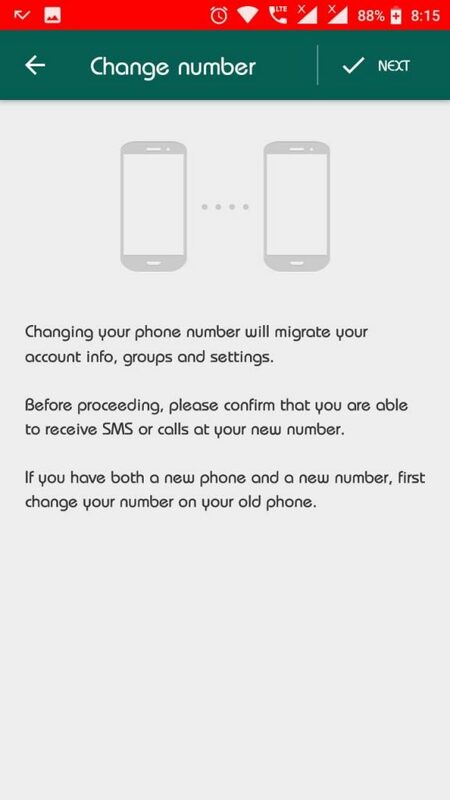 These are the following steps to change the number of GB WhatsApp for Android devices. In case you are concerned about the previous number of privacy, then you can always change the GB WhatsApp number within the app for Android devices. When the GB WhatsApp opens, select the three vertical dots at the upper right corner of the app to access the menu of the GB WhatsApp. 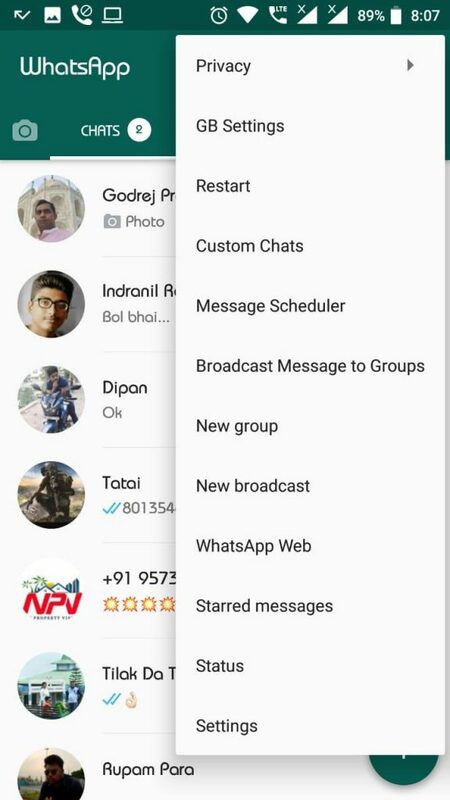 Select the settings from the GB WhatsApp menu. On the next page, select the account option. Now scroll below the account window and locate the change number option. 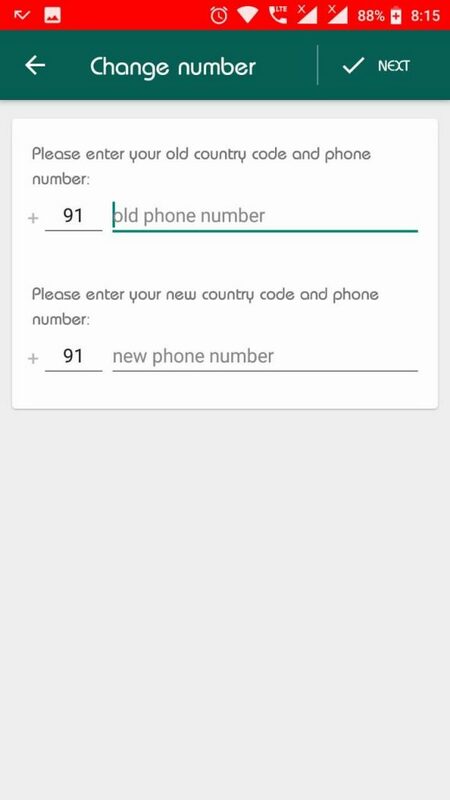 Tap on the change number option to change the number of the GB WhatsApp in Android devices. Now tap on the next button at the top right corner of the GB WhatsApp change number window. Now in the next window enter the current number which is associated with the GB WhatsApp, and on the next tab enter the new number which you want to replace with the current number on GB WhatsApp. Now please continue to change the number of the GB WhatsApp. You need to verify the new number by entering the OTP which WhatsApp saints to the new number via SMS, all you can also select the calling feature to get the OTP. After you enter the OTP and verify the new number with the GB WhatsApp, the GB WhatsApp will reboot and the new number gate associated with the GB WhatsApp on your Android device. After the new number gets associated with the GB WhatsApp, it does not gets shared with the users who currently know your old associated number. In case you want to return back to the old number which the GB WhatsApp was associated before changing the number, follow these following steps to return back to the old number. 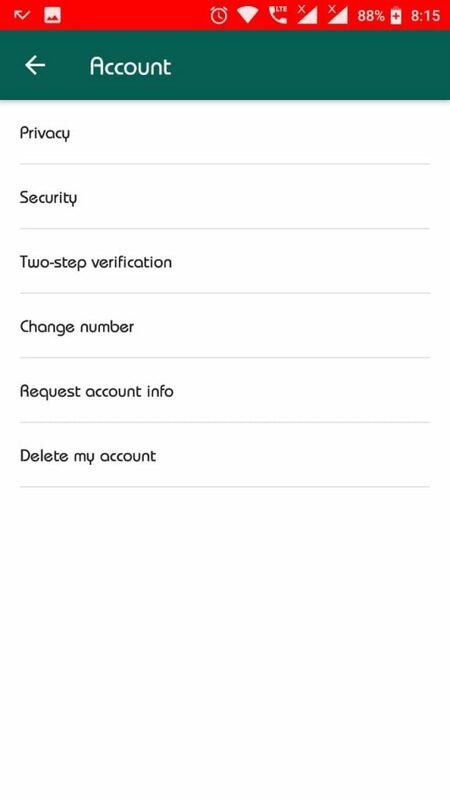 Go to the settings of the GB WhatsApp and select the account option. Go to change number option again and change back to your old number from there. Note that if you are associated with any of the WhatsApp groups, then they will get informed about your number change in GB WhatsApp. We have researched on the internet about the GB WhatsApp and its various features in the Android devices. We have provided the complete guide to successfully changed the number of the GB WhatsApp in the Android devices. Share this useful and informative article with other GB WhatsApp users, so that they can also change the number according to their privacy concern.